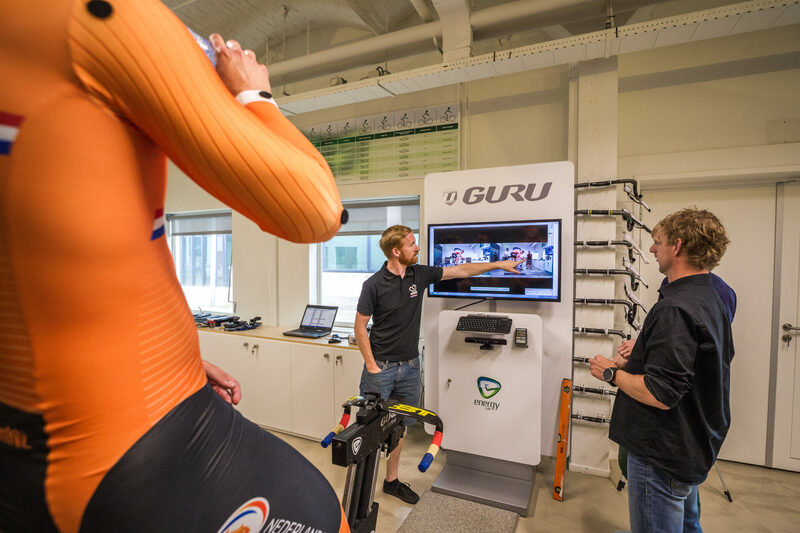 Following the Dutch track team’s success (silver for Mattijs Büchli and gold for Elis Ligtlee) at the Olympic Games in Rio de Janeiro, Koga and the KNWU saw an opportunity to help its next generation of talents reach their potential. In a sport in which every tenth of a second counts, equipment is crucial. It was time for a new track bike for the KNWU’s national track team. Developing the perfect track bike involves several factors: stiffness, strength, biomechanics, handling, weight, and aerodynamics. KOGA opted for an holistic approach, aimed at finding the perfect balance between these variables. It sought out the best partners. Actiflow developed the aerodynamic design. Pontis Engineering maintained the balance between stiffness, strength, and weight. The Delft University of Technology (TU Delft) ensured that the riders fit well on the bike and would be able to handle it safely through the corners. The project team came together to discuss plans and design decisions. The riders played an active role in the meetings. Valuable input was gathered. – What was technically feasible? – What would help the riders most? – What was the competition doing? – What trajectory would the project take to Tokyo? The rider’s current bike, the KOGA Kimera, was used as a benchmark. Actiflow produced a concept design based on the agreed-upon ideas. Meanwhile, Pontis Engineering developed FEM models, which allowed them to put the new bike through various ‘load cases’ in the computer. 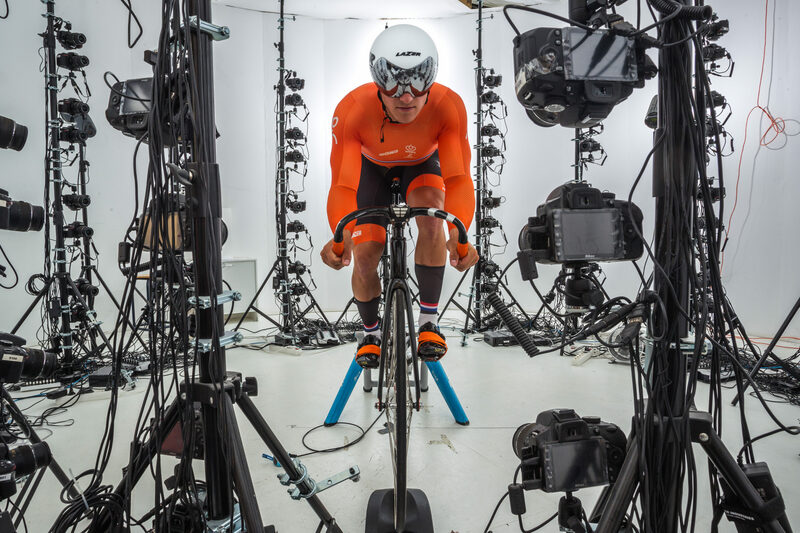 Similar tests were done on a 3D computer model of the Kimera to determine the current bike’s points of strength and weakness. 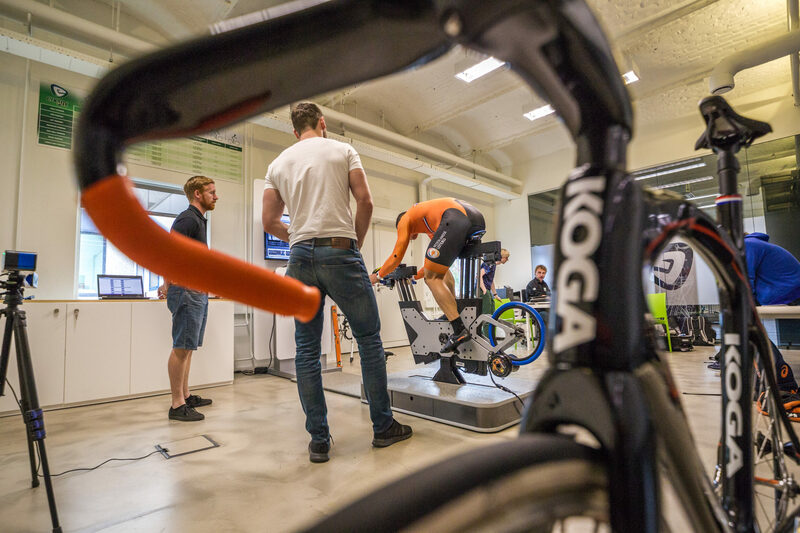 TU Delft researched the effect of the geometry on the bike’s handling and determined the optimal set up for each of the riders. All of the results were collected for the concept design of the new bike. A 3D model was developed that allowed the team to make an endless number of iterations of different frame designs. 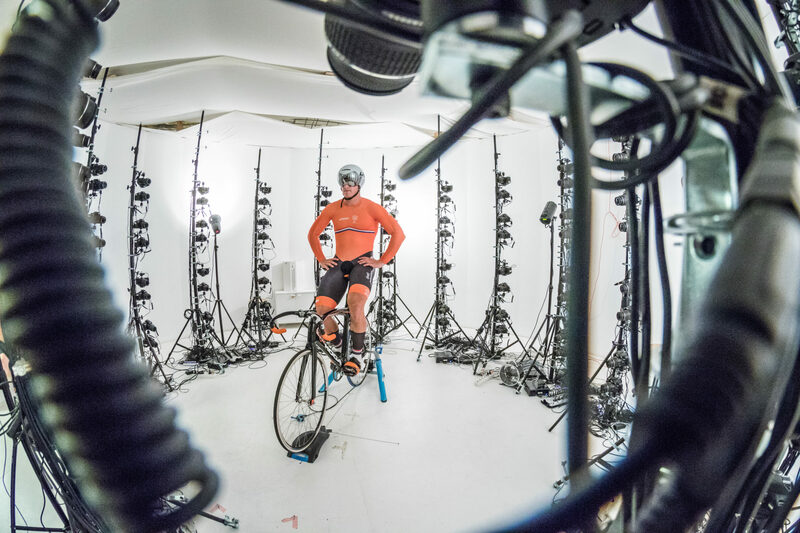 The 3D scan of the bike and rider was made with 130 high-definition cameras in a custom-made studio in Amsterdam. Actiflow sent its first concept to Pontis Engineering, who put the aerodynamic design through a structural analysis (what are the strong and weak points?) and determined the lay up of the tubes (the composition, thickness, position, and direction of the carbon fibres.) The goal: the optimal balance of strength, stiffness, and low weight that would not compromise the bike’s aerodynamics (and thus speed). Pontis also ensured that it was possible for the bike to be made. They then sent their recommendations to Actiflow, who sent an adjusted design back. This went on for three rounds. Other important decisions during this phase included: how many frame and handlebar sizes would be needed and in which factory the bike would be built. Actiflow tested the aerodynamic performance of the final design for the last time. Pontis did the same for the structural make up. It was done. A 3D prototype of the design was tested in the TU Delft’s aerospace engineering faculty’s wind tunnel. “We were looking to confirm the numbers that were generated during our computer simulations,” says Oscar van Dijk, an engineer at Actiflow. “We train every day, but this is also crucial to our performance. At the TU Delft today, all of these impressive minds are working on the fastest bike in the world. That is cool to experience,” said Mattijs Buchli. On the first day of the track-cycling world championships in Apeldoorn, a 3D-printed prototype of the track bike was unveiled. The Dutch team won 12 medals at the world championships on the earlier model. “Imagine if they had an even faster bike,” says Tim de Boer, the track team’s mechanic. He cannot wait. The new design was sent to the UCI, which will certify that it meets all of the applicable rules and regulations to be used at the Olympic Games. This is part one of a trilogy in which we will follow the development of the new track bike. 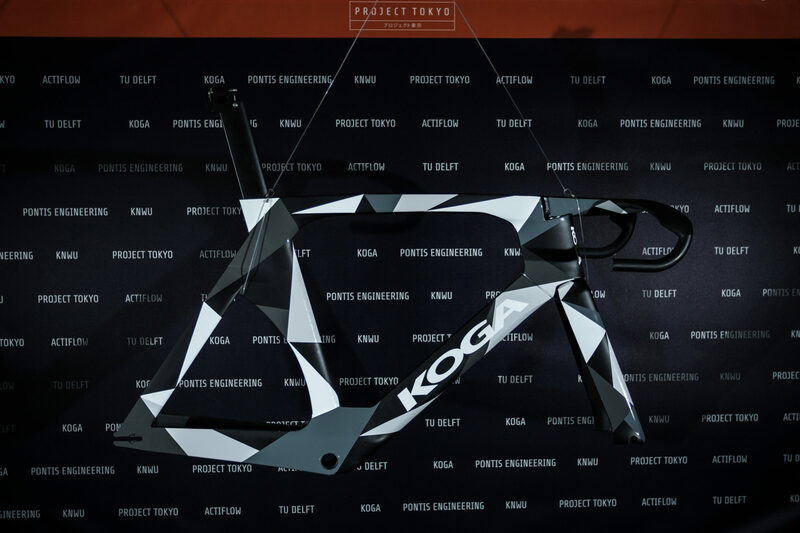 In part two of Project Tokyo, we will cover the production of the new bike and examine the process of fitting the riders on it.